Advance release of the opening remarks, which Navi Pillay, United Nations High Commissioner for Human Rights, will be delivering at the Human Rights Council’s 26th session on June 10 at Geneva, reveals that the top UN body is all set to highlight issues pertaining to caste and Dalit discrimination as one of the major agendas during future discussions on human rights. Suggesting that caste-based discrimination as equal to the discrimination based on religion and race, Pillai, who is to be replaced by Jordan's Zeid Al Hussein soon, regrets, certain countries refuse to discuss contentious issues related to discrimination. Calling upon everyone to be treated equally, Pillay in her statement says, “Dalit or Brahmin, Peul or Pole, gay or heterosexual, tycoon or pauper, woman, child or man – regardless of ethnicity, age, form of disability, beliefs; or economic might” are all “human beings are equal in dignity.” Insisting that “all, without discrimination, are entitled to the same rights”, Pillay says, "I urge this Council to continue to maintain the universality, indivisibility and interdependence of all human rights, including the right to development." “It will also be necessary to step up our work to maintain the right to privacy, in the face of governmental and corporate attempts to create a surveillance society via new technologies. 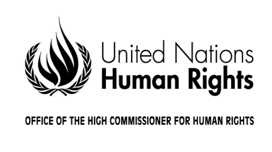 And there can be little doubt that the global climate crisis is also a human rights crisis – most urgently for people in coastal communities and small island States, but also for all of humanity, as it increasingly threatens health, food, water, housing, and other essential and universal human rights”, she points out.